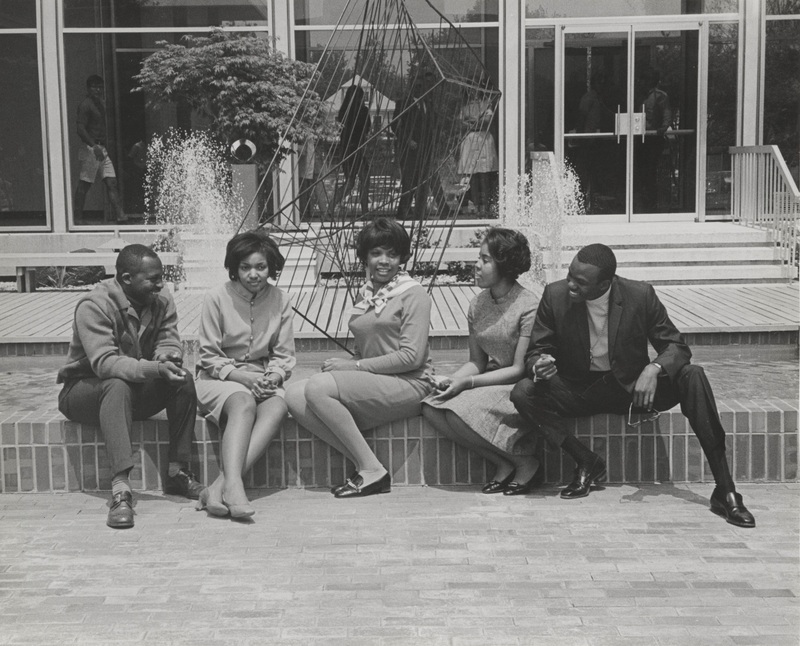 The Black Culture Club of Old Dominion College in front of Webb Center, 1969. Source: ODU Photographic Collection, RG 32, Special Collections and University Archives. The Special Collections and University Archives department of Old Dominion University Libraries commemorates the 85th anniversary of Old Dominion University (ODU) by creating an exhibit celebrating the history of diversity on campus. The exhibit features a timeline of social change and notable firsts at ODU regarding all aspects of diversity including, but not limited to, African-American history, women's history, and the LGBTQ and international communities. Did we get something wrong or do you want to include additional information? Please contact Special Collections and University Archives at libspecialcollections@odu.edu. Special thanks to Stephanie Sanders, Director of Diversity Initiatives, and Don Stansbury, Dean of Students, for providing additional information for the timeline. Bridges, Maggie, et. al., Old Dominion University: From the Great Depression to the New Millenium, 1930-2000, Old Dominion University Office of Institutional Advancement, Norfolk, Va., 2000.